Under the bill, if you go to the store and buy, say, tax preparation software, you’ll be charged sales tax. But if you access that program online, you won’t. Before now, the state wasn’t clear on that difference. And that matters to a tech company like Demand Jump that delivers data-based marketing solutions, says CEO Christopher Day. 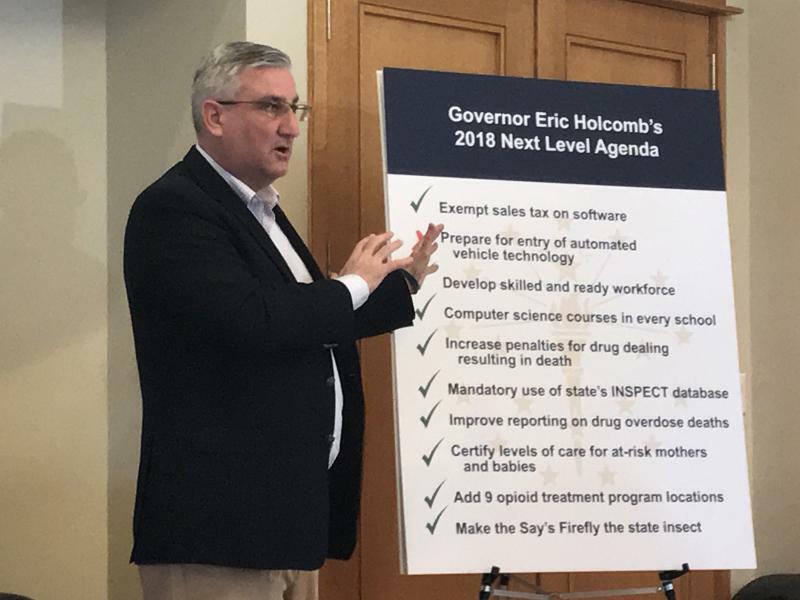 “I think not having this clarification was holding back potential investment,” Holcomb says. The bill is expected to cost the state between $7 million and $15 million a year. Holcomb says he thinks new investment will more than offset that loss. Gov. 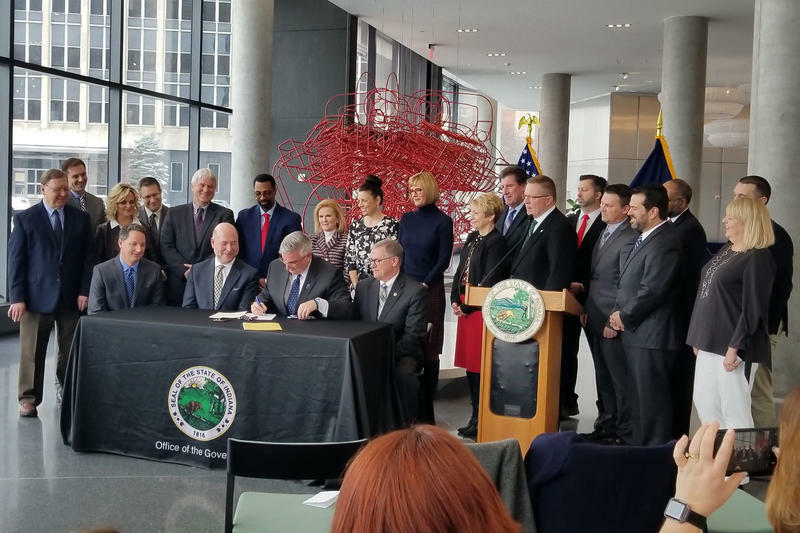 Eric Holcomb signed both workforce development bills passed during the 2018 session into law Wednesday. Gov. 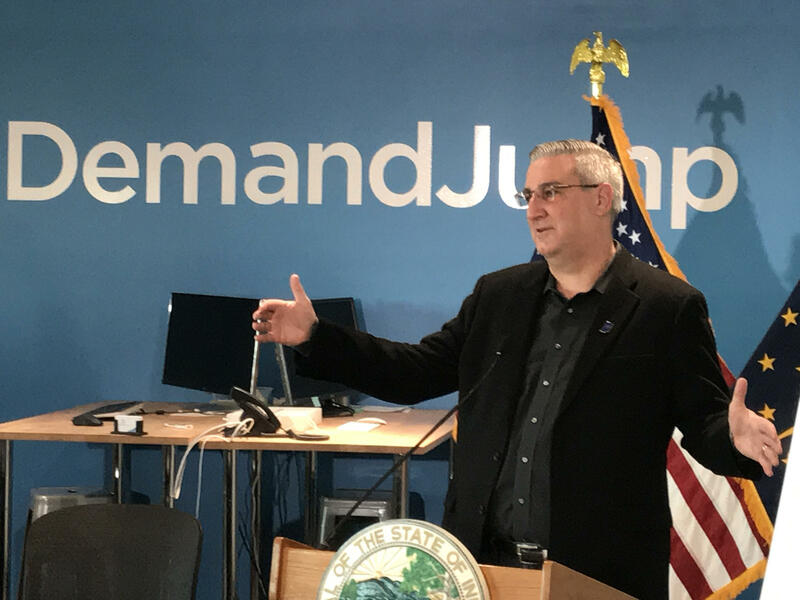 Eric Holcomb announced Monday he’ll call for a special session of the General Assembly to address some of the issues that died last week when lawmakers ran out of time at session’s end. It will be the first non-budget special session in 16 years.